Innovative strength and technological ingenuity drive competitiveness in the global markets – an important prerequisite for the economic prosperity. An economy needs to be agile in order to heighten its productivity through existing and new technologies. One condition for a climate of innovation that spurs the creation of value in a given region is the collaboration between political and private players. Indicators of this are already-high or increasing investments in research and development, the availability of risk capital, partnerships for scientific research and education, patents … and the list goes on. Innovation is a key driver of economic prosperity and the transition to a more sustainable world. Meanwhile, the transfer of technology and innovation between industrialized and developing nations remains a key challenge in achieving global sustainability goals. 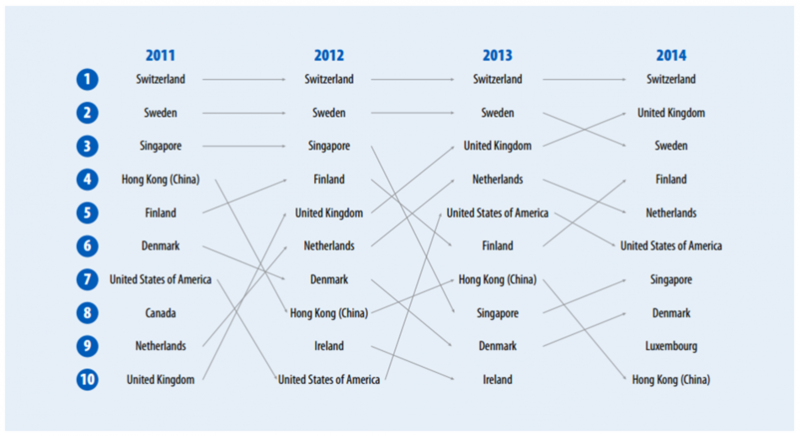 The figure above shows the movement of various developed nations in the Global Innovation Index (GII) over the past years. In 2014, Switzerland defended its top position over four consecutive years. High income countries generally take the top positions of the index. But according to the 2014 GII-report, a high GDP per Capita is no guarantee for superior innovation power. On the other hand, an innovation divide is found between different levels of income of economies. The GII is co-published by Cornell University, INSEAD, and the World Intellectual Property Organization (WIPO, a specialized agency of the United Nations) on an annual basis. It took 28 years for half of the 1955 Fortune 500 class to disappear. Half of the class of 1995 were gone 15 years later. 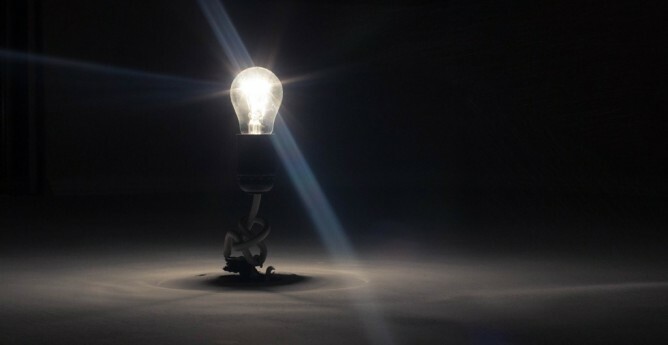 You have to innovate – or you die. While technology transfer is common between industrialized countries, there is a shortfall in transfer to developing economies. This phenomenon is sometimes described as a lack in north-south technology transfer and diffusion. Additionally the challenge is complicated by the fact that not all technologies developed in industrialized countries are suitable for developing countries. Introducing cleantech solutions in developing countries can help mitigate global phenomena like climate change. But without the inclusion of local stakeholders, such efforts have often been proven ineffective. Companies generating social and environmental innovations are taking an active part in the transition to more sustainable and cleaner products. They will be more successful in the long run. Those that do not will have more storms to weather. An impressive example of the recent past is the automobile manufacturing sector. American producers lagged far behind their Asian competitors in fuel efficiency of vehicles, which resulted in loss of market share and profitability. At the same time, Tesla Motors emerged from the same country as a pioneer in electric mobility. 18.5 Billion Swiss Francs are spent on research and development in Switzerland every year. 60.8% of Swiss investments in R&D are made by the private sector, with pharma contributing a large portion. 2.35 million patents were filed globally in 2012, which represents an increase of almost 10% compared to 2011. The Global Innovation Index along with country specific statistics helps us navigate in the task of identifying fields of innovation with a high future potential. Additionally we rely on statistics on innovation published by various governmental agencies. In assessing a company‘s footprint we consider its position in various international innovation rankings, such as Forbes’ “The World’s most innovative companies”.